Bowling Green remained eighth in this week’s U.S. College Hockey Online Top 20 and the USA Today/USA Hockey Magazine Top 15. The polls were announced Monday afternoon. The Falcons split at Ferris State last weekend, winning 4-1 in Game 1 before losing a 3-2 overtime decision in Game 2. 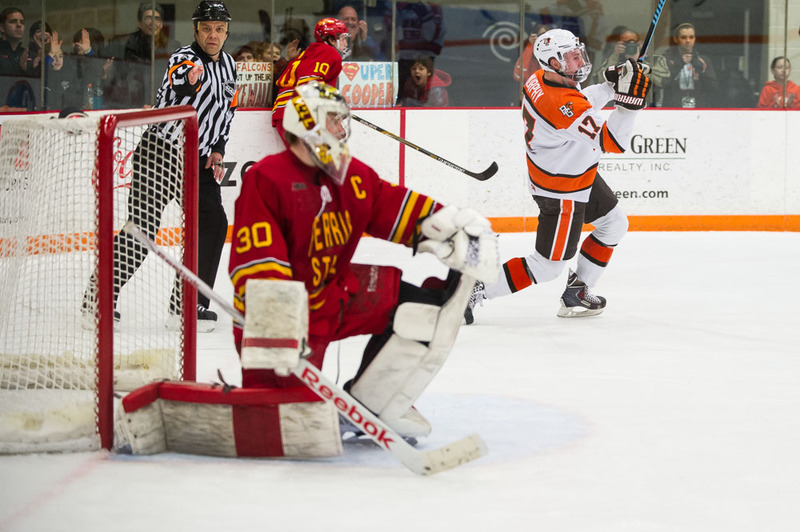 BG won three of its four games against Ferris during the last two weekends, but is only 5-4-1 in its last 10 games. In the USCHO voting, the Falcons received 617 points, down from 651 last week. In the USA Today voting, BG totaled 251 points, compared to 286 last week. Two other Western Collegiate Hockey Association members were ranked. Minnesota State was ranked second by USCHO and third by USA Today. 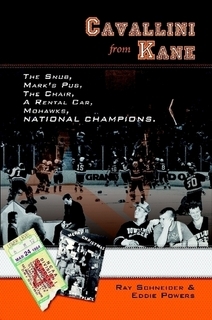 Michigan Tech was fourth in both. The Falcons are third in the WCHA with 31 points, eight behind second-place Michigan Tech and nine behind first-place Minnesota State. The Falcons have two games in hand on both teams, but they have just six games remaining. BG hosts Northern Michigan (11-13-6, 8-10-4) Friday and Saturday nights at 7:07. The Wildcats are tied with Bemidji State for the fourth and final home-ice berth for the first round of the WCHA playoffs. NMU and Bemidji each have 20 points, two ahead of Ferris. All three have six games remaining.